Dr. Charlene Sapida, DPT, has worked in Outpatient Physical Therapy since 2005. She earned her Doctoral degree in Physical Therapy from the University of Puget Sound in 2005 as well as her Bachelors degree in Psychology from the University of Washington in 2002. 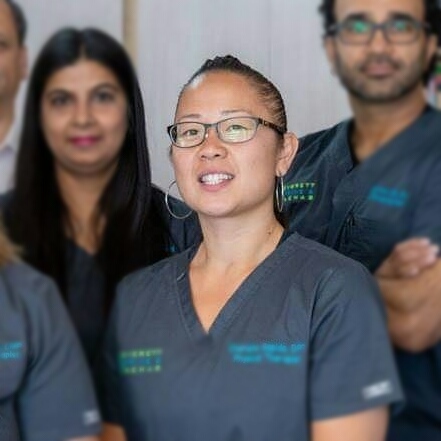 Charlene has extensive continuing education in manual therapy, orthopedic rehabilitation, neck/back pain and spine care, and therapeutic functional strengthening. She highly believes in forming authentic relationships with patients, providing services based on rehabilitation needs tailored towards the individual through one-on-one care, and ensuring continuity of care with not only the patient but with all involved medical providers too.